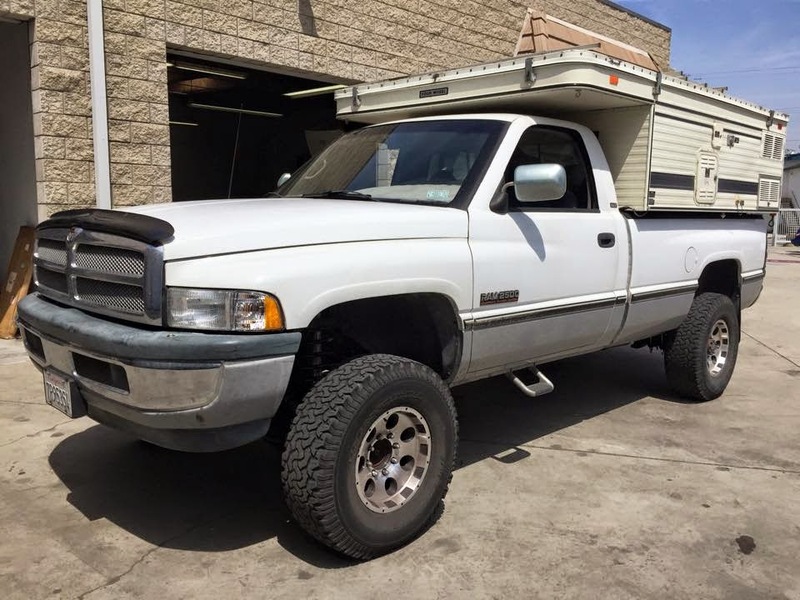 This cherry 1996 Dodge Ram 2500 12 Valve Cummins features a Carli Suspension Performance 2.0 suspension system, DT Pro Fab track bar conversion, and more! This rig is set up for overloading in comfort, with smooth riding suspension and a pop up camper. The ride quality and steering were night and day on this truck once the Carli system was installed! For more information on the Carli Performance 2.0 system, click here. 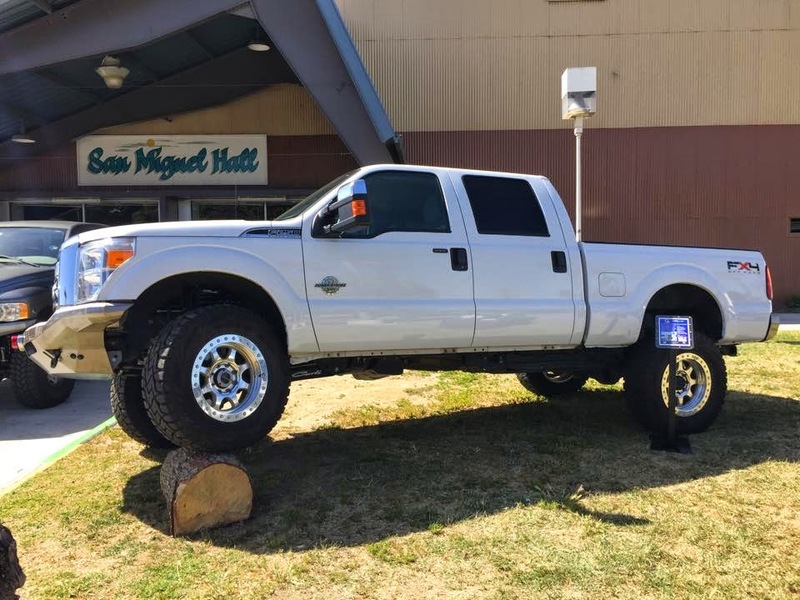 This 4th gen Mega Cab features a Carli Suspension Commuter 2.0 system, Carli Suspension High Clearance Control Arms, 17" Method NV wheels, and 37x13.5x17 Toyo Open Country MT tires. Expect many updates in the near future on this rig! More info on Carli's Commuter 2.0 system can be found here! This 2014 Ram 2500 Mega Cab features a Thuren Fabrication King 2.5 suspension system, 18" Method Double Standards, and 37x12.5x18 Nitto Trail Grappler MT tires. This truck turned out beautifully! 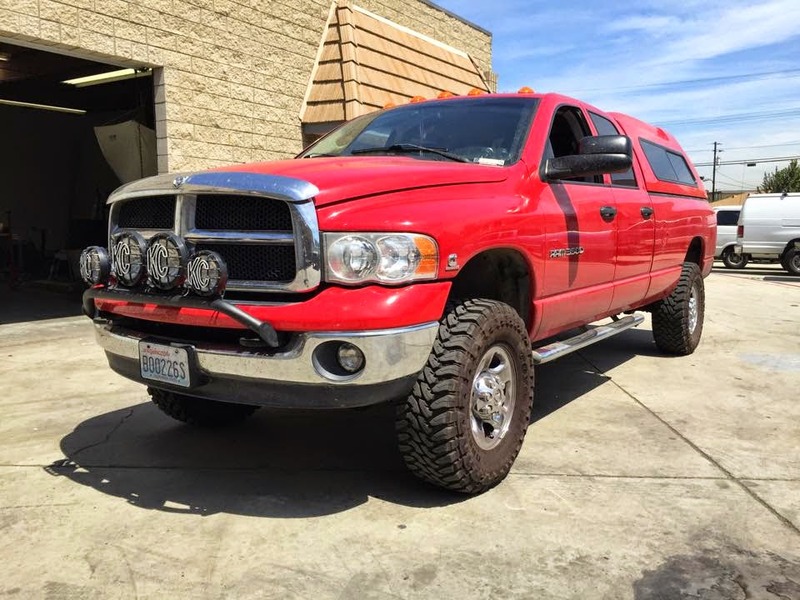 This 2004 Cummins had the entire front end replaced with Carli components such as ball joints, control arms, steering stabilizer, track bar, and more along with new Mopar 08.5 steering. The handling is night and day, making this 11 year old truck steer like new again! Carli's front end upgrade kit can be found here. 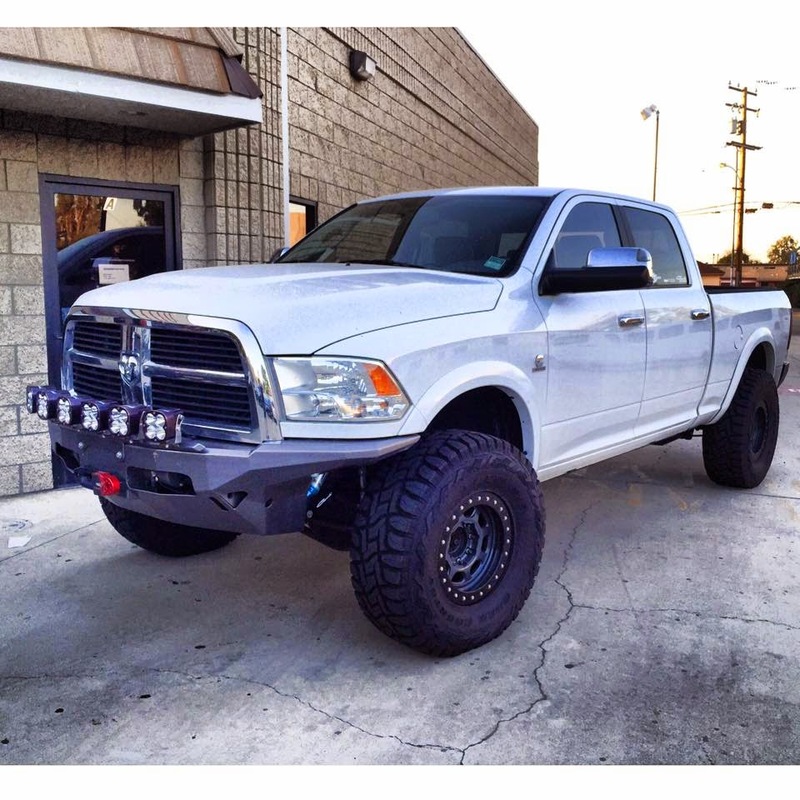 Our shop 2010 Ram 2500 has received a few updates, courtesy of a Carli Suspension Unchained 3.5 system, Trail Ready 17" beadlocks, Mercenary Off Road front and rear bumpers, Baja Designs lighting, and the new Toyo Open Country R/T 37x13.5x17 tires! Check out Carli's Unchained 3.5 system at cjcoffroad.com! 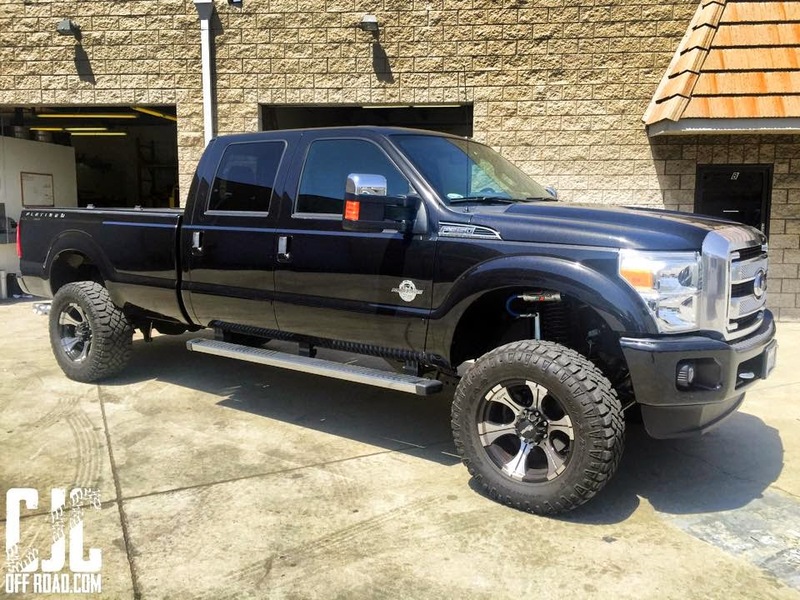 This 2013 F350 Platinum is now upgraded thanks to a Carli Suspension Pintop 2.5 4.5" lift system with Carli full progressive leaf springs. The first time we went for a ride with the customer over some large dips near the shop, we were grinning ear to ear as the dips were barely felt in the cab! Carli's Ford Pintop 2.5 4.5" lift system can be found here. 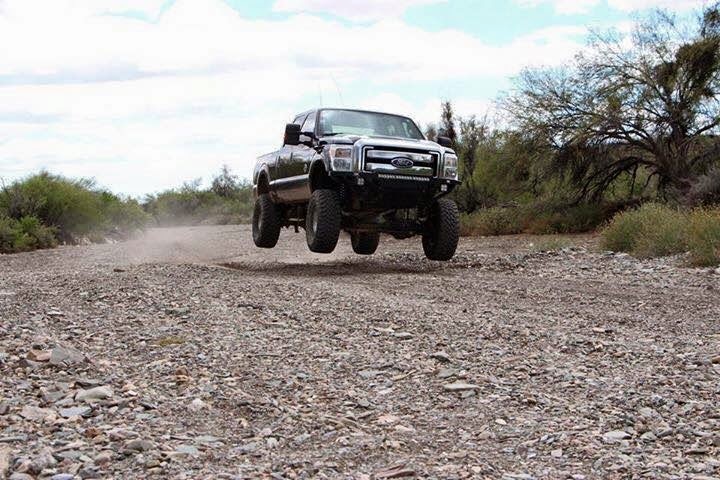 Here is our friend Chuck's 2011 Super Duty featuring a 4.5" lift Carli Dominator 3.0 catching some air. This truck also features a Carli fabricated front bumper, Baja Designs lighting, Trail Ready 17" beadlocks, and Toyo Open Country MT 37x13.5x17 tires. More info about the 4.5" lift Dominator 3.0 can be found here. We were very impressed with how this truck turned out. 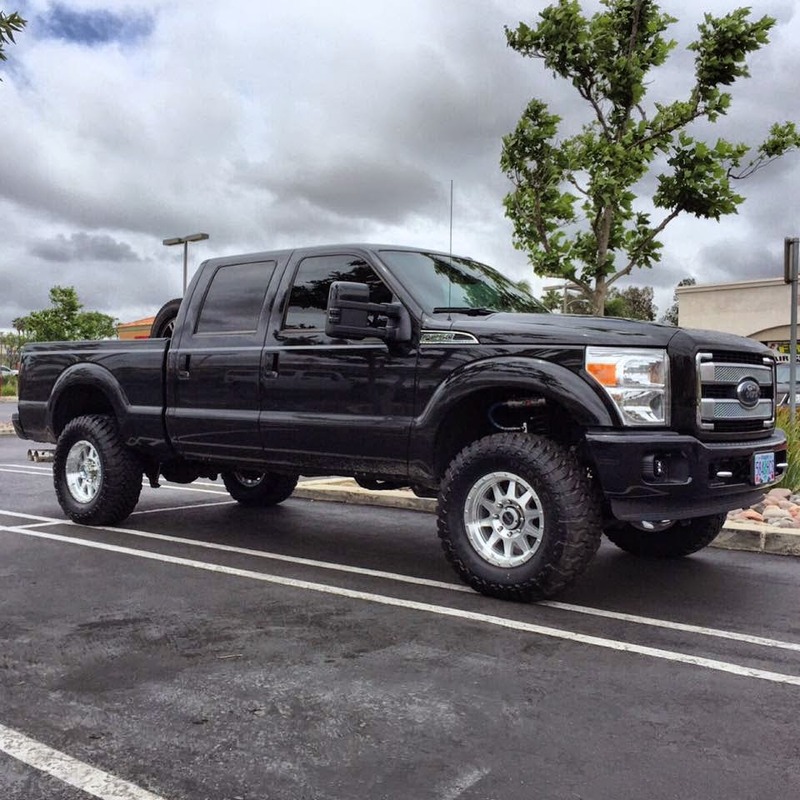 This is a 2015 Platinum Super Duty featuring a 2.5" lift Carli Pintop 2.5 system, Carli full progressive leaf springs, 18" Method Standards, and 315/70/17 Toyo Open Country MT tires. Click here for more information about Carli's 2.5" lift Pintop 2.5. We will be posting many, many more customer rigs soon!